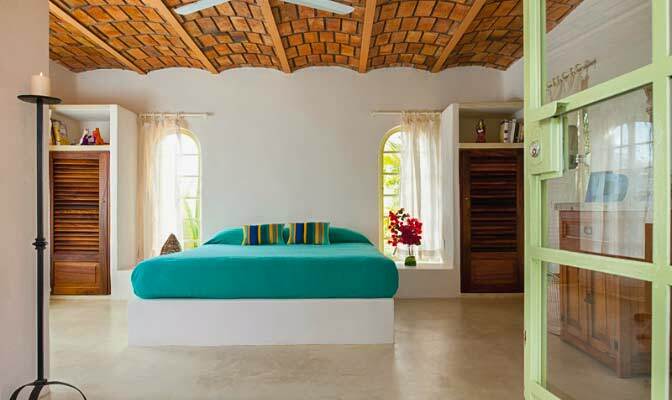 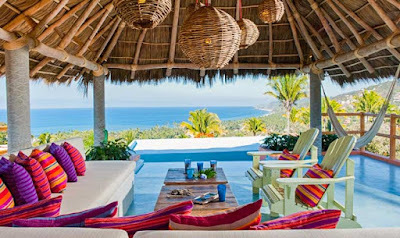 This vacation rental in Sayulita, Mexico is such a great example of how you can incorporate bold color into your decor with a minimalist hand. The all-white backdrop and few carefully selected accessories keep these spaces feeling easy and inviting, and not overpowering. 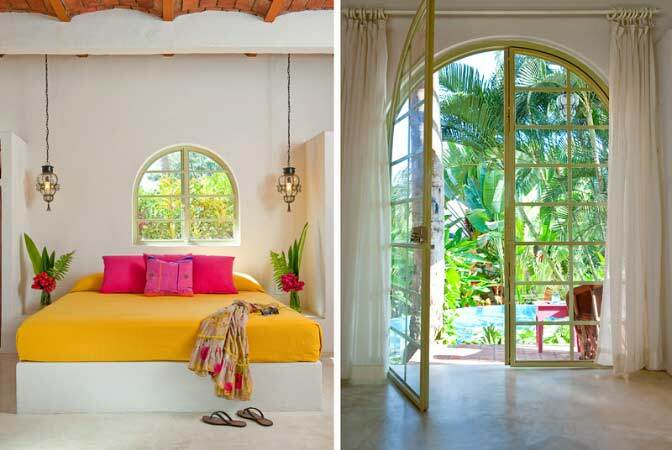 Pale green window and door frames help bring the outdoors in. 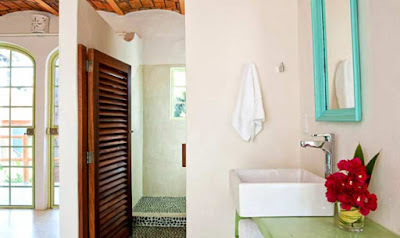 Love the pop of aqua at the mirror and the green counter, juxtaposed with the modern square sink and fixture. 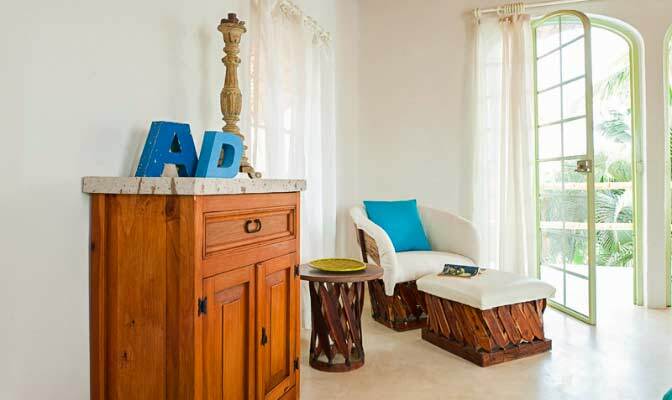 The wood elements add the perfect textural balance. 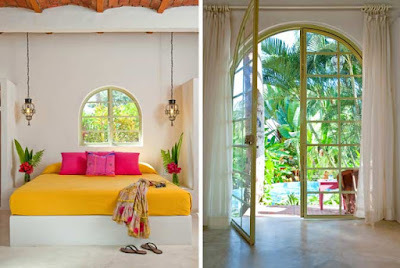 Great inspiration for adding some fresh color to your own space, or injecting personality into a vacation home.